Opposition re-registration forms were allegedly handed over to president’s campaign office. The Elections Commission has cancelled the re-registration of 5,626 people who applied to vote outside their home island, claiming information on their forms could not be verified. They will be able to resubmit forms between Monday and Wednesday, the EC announced Thursday night, with a list of their names, age, identity card numbers and addresses. “If the registration is not changed within this period, they can vote on their island of permanent residence,” the EC said, adding that applicants must bring an original official identification document. 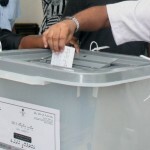 Forms can be submitted to the election centre in Malé, council offices on other islands, and embassies and consulate offices overseas. Forms cannot be mailed or faxed. EC member Ahmed Akram told the press that the main problem was the inability to verify fingerprints. The EC announcement came after the joint opposition reiterated allegations of registration fraud by the electoral body to favour the incumbent. On Thursday, former MP Mohamed Gasm posted recordings of calls from President Abdulla Yameen’s campaign office. 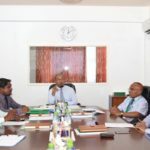 Days after the opposition campaign official submitted his mobile number as a secondary contact number for registration forms from opposition supporters in Sri Lanka, he started receiving calls from several numbers registered to a ruling party activist. 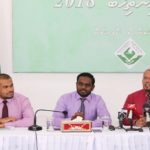 “The callers introduce themselves by explaining they were calling from the [ruling Progressive Party of Maldives] campaign office, and some said they were calling from [unused presidential palace] ‘Muleeaage.’ When Gasam enquired how they had got hold of his number, they hung up,” the joint opposition said in a statement. The MDP contends the only way the PPM campaign office would have got Gasam’s number was from the re-registration forms he submitted to the EC. 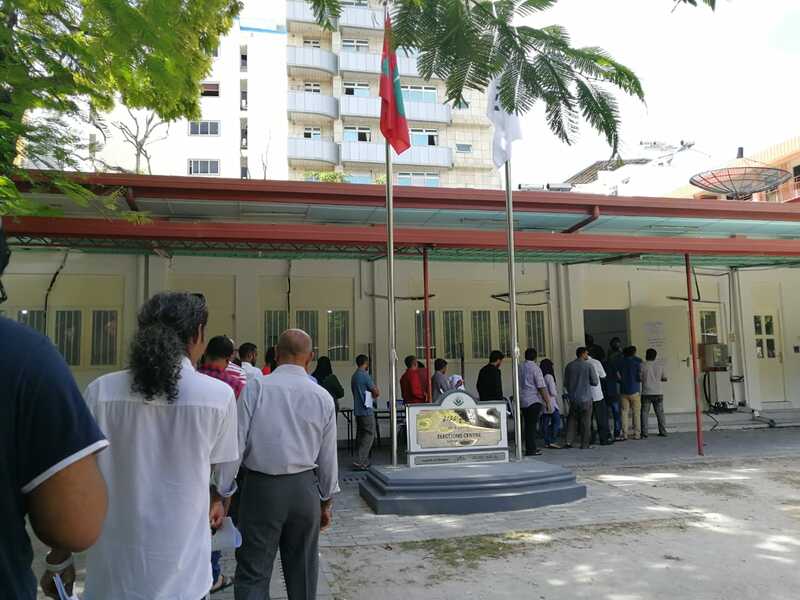 “It also explains why Gasam received many calls from the PPM, rather than just one: because his mobile number was written on many re-registration forms,” it continued. But the EC denied the allegations. 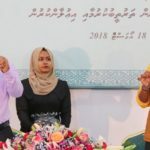 The complaints bureau is investigating the MDP’s allegations as a serious case, spokesman Akram said, also dismissing speculation of a database breach. 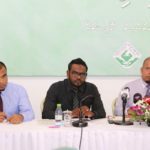 Last Saturday, EC chief Shareef denied allegations of registration fraud after it emerged that several people were re-registered elsewhere despite not applying. If there was fraud, political parties were to blame, he said, vowing to seek criminal prosecutions. But the EC has yet to disclose re-registration information despite Shareef’s assurance that details would be made public within a week. The re-registration deadline passed nearly two weeks ago. The opposition also questions the EC’s figure of 95,000 re-registrations forms. It is unrealistically higher than the 62,000 people who re-registered for the last parliamentary elections in 2014, the opposition says. About 263,000 people are eligible to vote this year. Elections Commission has invalidated the re-registration forms of all MDP members of my family who re-registered to vote in Colombo. They had filled the forms themselves and submitted to focal points in Colombo directly. Just got notified by EC that my re-registration form has been rejected, but when I checked on Sunday I was re-registered to vote in Male’. @ShareefRangondi I assure you that my very first vote will be cast against YAG and evildoers like you. wth so many people i know have had their voter registrations changed back to their original addresses even though they got confirmation of re-registration to a different location from the EC earlier. major vote fraud alert. @EU_Maldives could you hurry up the sanctioning process. You’ve just disfranchised many who’ve still not returned from Haj.